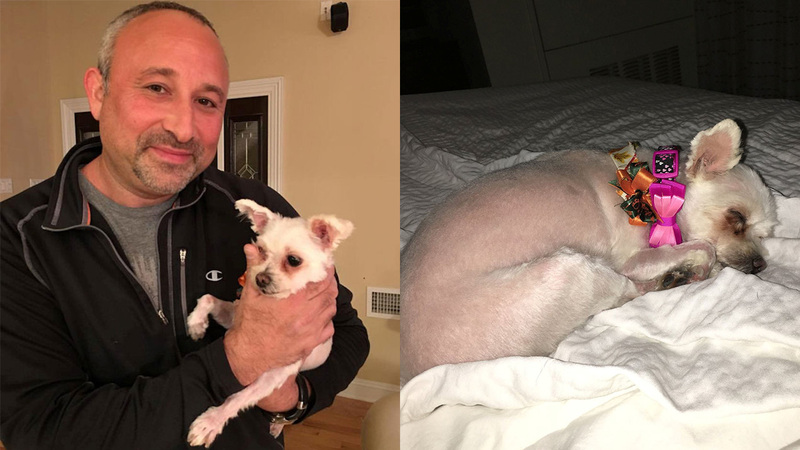 DELRAY BEACH, Fla. -- Bella the Maltese-Pomeranian mix has returned home nearly three years after she disappeared from her owner's Fort Lauderdale workplace. Bill Gerstein, of Delray Beach, said he got an email Tuesday from a New Jersey animal shelter after they found his information on a microchip. Gerstein tells WPTV that he booked a flight and headed to New Jersey. He says Bella was shaking uncontrollably for about 10 minutes after he arrived. He says a family in New Jersey cared for her for about nine months before she ran away and ended up in the shelter. But he has no idea how Bella got to New Jersey. For now, Gerstein is calling the reunion a Thanksgiving miracle that has become a story the Gerstein family will tell for years.